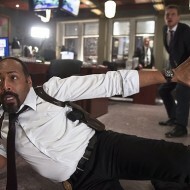 The CW’s adaptation of DC Comics classic The Flash has been consistently fun throughout the course of its freshman season. It is, however, in the middle of an extended break, but it will be back just in time for St. Patrick’s Day on March 17. 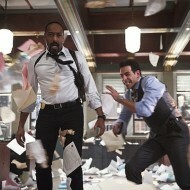 The next episode is titled “Out of Time,” and a slew of new stills from the return have hit the airwaves. 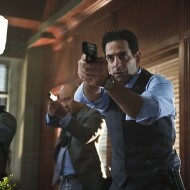 If you’re caught up, you know things are going to get rough for the team from S.T.A.R. Labs. 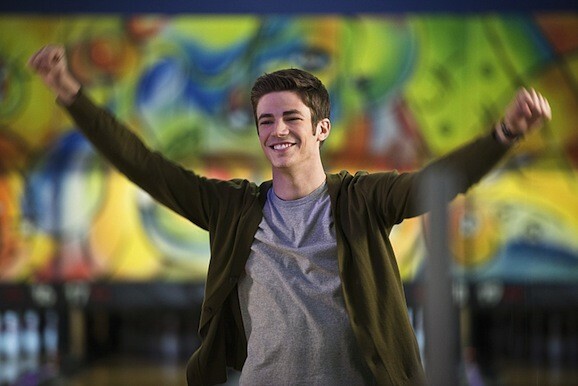 The reality of Dr. Harrison Wells’ (Tom Cavanaugh) intentions, as well as his still-unclear role in the death of Barry Allen’s (Grant Gustin) mother, is getting harder and harder to hide, and it keeps coming closer and closer to the surface. 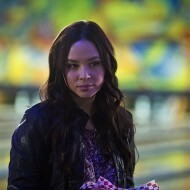 When this truth comes to light, the betrayal is going to be hard for Barry, Caitlin Snow (Danielle Panabaker), and Cisco Ramon (Carlos Valdes) to deal with, as they all look at him through rose-colored glasses. 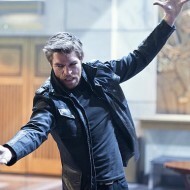 Mark Mardon aka The Weather Wizard (guest star Liam McIntyre) appears in Central City intent on avenging his brother Clyde’s death, and sets his sights on Joe, who shot Clyde. When Mardon attacks Joe and Barry, Barry is able to super-speed them to safety but Mardon gets away. 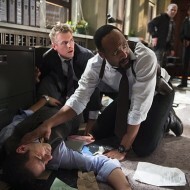 Barry warns Joe not to go after a meta-human alone but Joe doesn’t listen and ends up in grave danger. 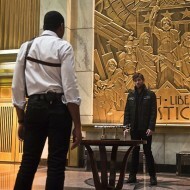 Meanwhile, Cisco looks into the night the team captured the Reverse Flash and realizes something doesn’t add up and begins to wonder whether Joe was right about Dr. Wells. 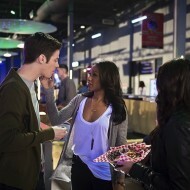 Barry and Linda (guest star Malese Jow) end up on an awkward double date with Eddie and Iris. 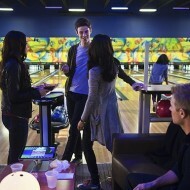 As you can see from this gallery of photos, there’s also apparently quite a bit of bowling in this episode as well. 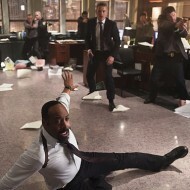 Just from looking at everyone involved, you know this is going to be awkward, as it appears to be a double date where Barry is with his new lady friend, Linda (Malese Jow), who works with Iris (Candice Patton), the woman Barry is in love with, who is there with her own live-in love, Detective Eddie Thawne (Rick Cosnett). Yeah, that’s going to end well. 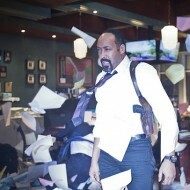 But it looks like a metahuman attack will take them all way from what is sure to be an uncomfortable time. 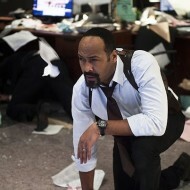 The Flash returns with “Out of Time” on Tuesday, March 17, and it sounds like way more fun than venturing out into public on St. Patrick’s Day. Unless you like dodging piles of green puke. Or I guess you can watch it and then go out and have a beer.